While the rest of the fourth grade class is on an educational field trip to a living museum, Cartman makes Butters sneak away with him to the amusement center located next door. While Cartman and Butters are busy at play, a group of trigger-happy thieves breaks into the museum and takes everyone hostage. Mr. Garrison takes his fourth grade class on a field trip to Pioneer Village, a 19th-century themed living history museum, where actors perform as if it was 1864 and never break character. Since nobody wants to be partners with him, Cartman is forced to take Butters as his partner and Garrison tells Butters to not let go of Cartman's hand until they are back on the bus. Thieves led by Franz have robbed a Burger King and flee to Pioneer Village, taking everyone hostage. Stan, Wendy, Jimmy and Kyle flee with two townspeople to an office where Kyle calls the police. The thieves find a locked mine shaft door. They interrogate the workers to find the code, but none will break character. Cartman and Butters go to an arcade called "Super Phun Thyme", but Butters will not let go of Cartman's hand, which leads to Butters being dragged around as Cartman plays games. 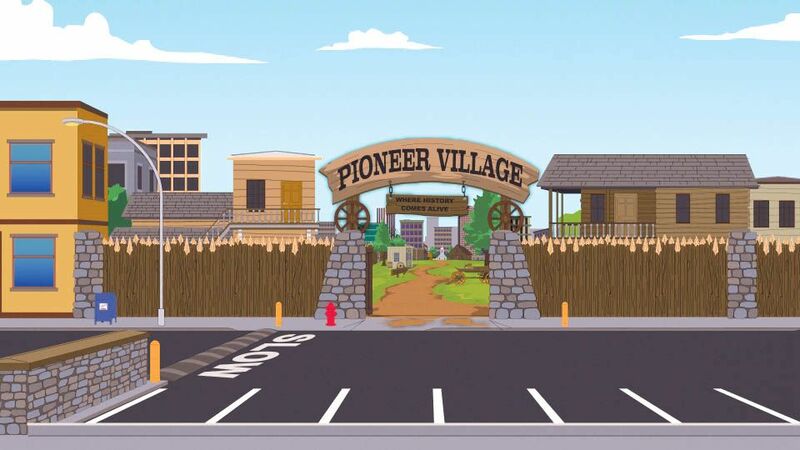 When they return to Pioneer Village and see the entrance surrounded by police, they believe the police are there because someone has noticed they left, so they decide to sneak back in and claim they were there all along. Franz threatens to kill the kids (specifically Kenny), but Stan portrays a time period character and gives the workers an in-character way to divulge the door code. Cartman and Butters jump the fence into the village, where one of the thieves attacks them. The thief tries to make them put their hands on their heads, but Butters will not let go of Cartman. Butters uses Cartman as a weapon by flinging him at the robber, runs away and they are knocked down by a grenade. The blast makes the robbers investigate, leaving the leader guarding the hostages. Stan points to him and gives the village criminal, Murderin' Murphy, an in-character reason to attack him. The police raid the camp, killing the robbers and catching the leader. 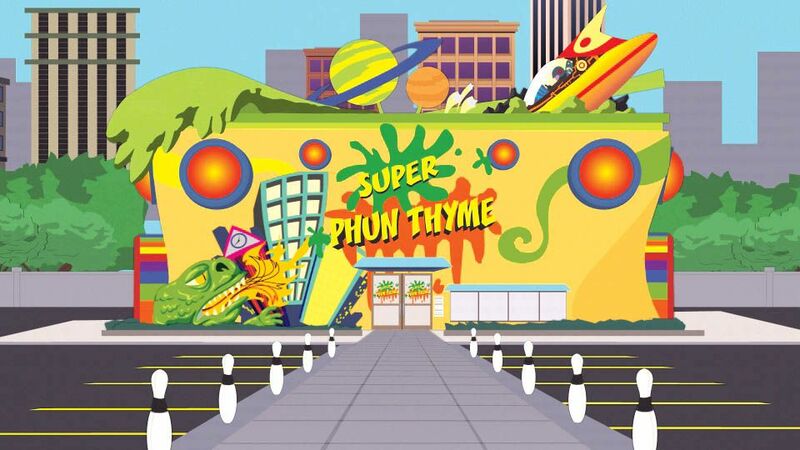 "Super Phun Thyme - Montage"